Pristine single family home in golf course community with professionally decorated interior. 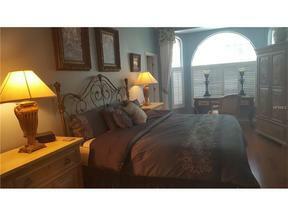 Luxurious master suite with King size bed and separate garden tub and shower in bath area. Guest bedroom has double bed. Den/office is equipped with a built in desk with shelves and door for needed privacy should one need to work while enjoying the comforts of this home. Gourmet kitchen with stainless appliances and wood cabinets with stone counters. 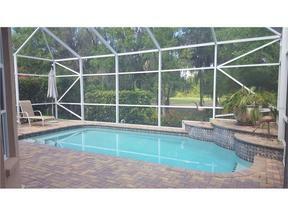 Oversized lanai with overhang provides a great entertaining area and pool side dining.